3 Bedroom Ground Floor Maisonette For Sale in London for £475,000. Excellent three bedroom split level maisonette, well located, set back from Roman Road, in close proximity to Victoria Park and Roman Road Market. Accessed via your own front door and ground floor level. the property comprises a good size living room and a modern eat-in kitchen that was recently installed. Upstairs there are two large double bedrooms, a smaller bedroom and a smart bathroom which was also recently installed. 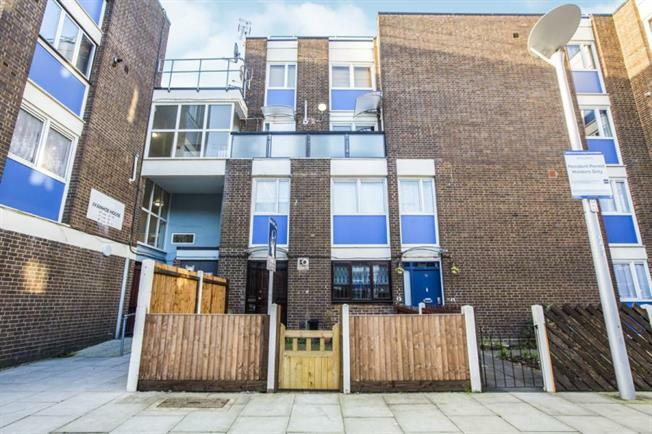 The property has been well maintained throughout, benefits from front and rear patio gardens and is well placed for Roman Road and Market, whilst Victoria Park is easily accessible and just a short stroll. There are good bus routes from Roman Road and Grove Road, whilst the nearest station is Mile End Underground (Central, District and Hammersmith & City).